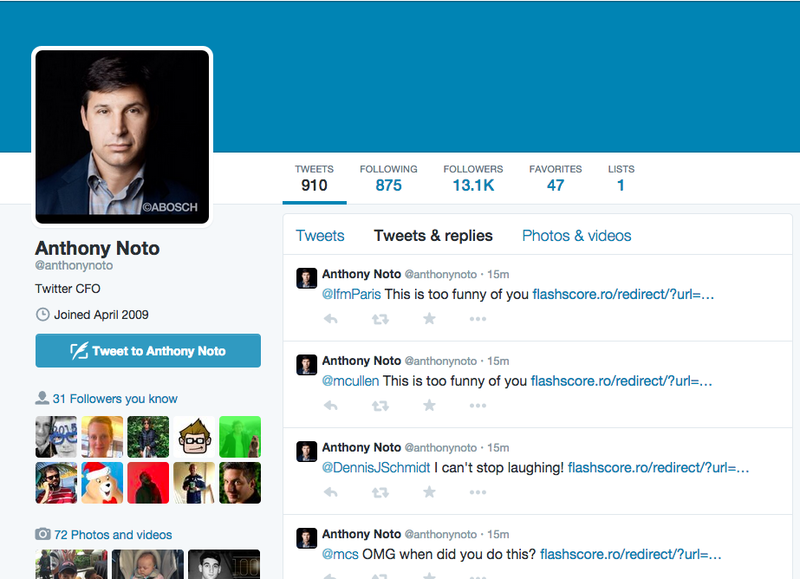 Twitter CFO Anthony Noto's account got hacked by spammers. 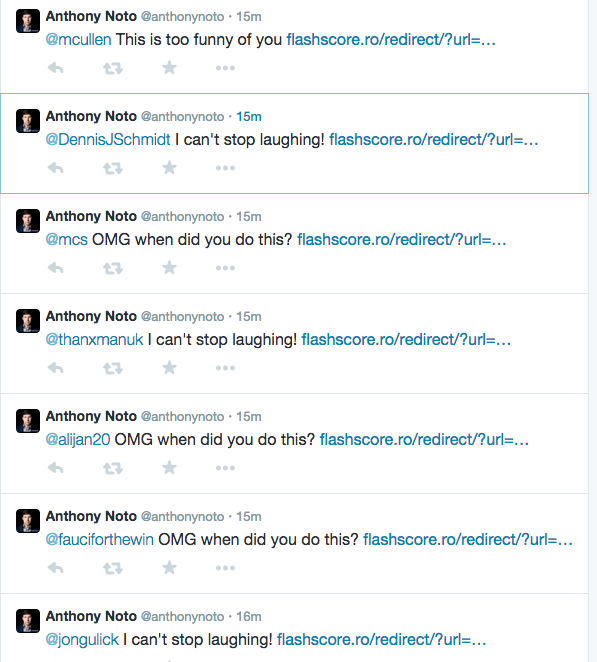 Portrait of the CFO as a spammer. A spokesman for Twitter refused to tell Bloomberg Business whether Noto uses two-step verification—though that security measure likely would have prevented today’s hacking.